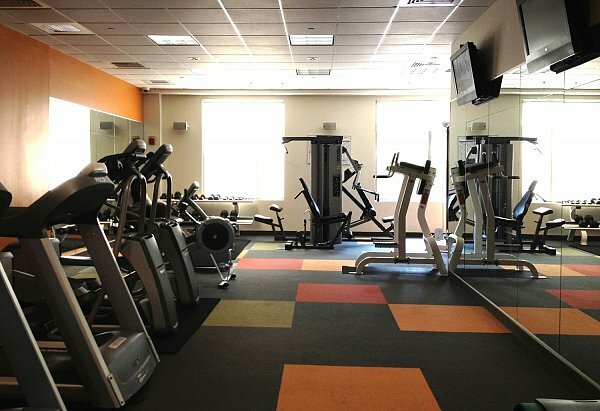 *Bold floor graphics enliven the Fitness Center. 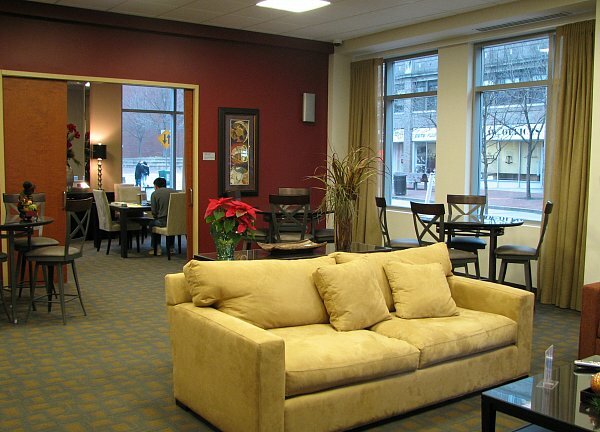 The spacious social rooms are highlighted by comfortable furniture and natural light. 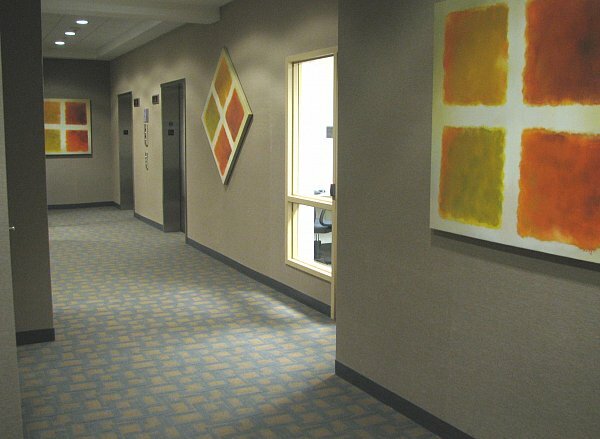 Textural finishes and bold artwork accentuate public corridors. 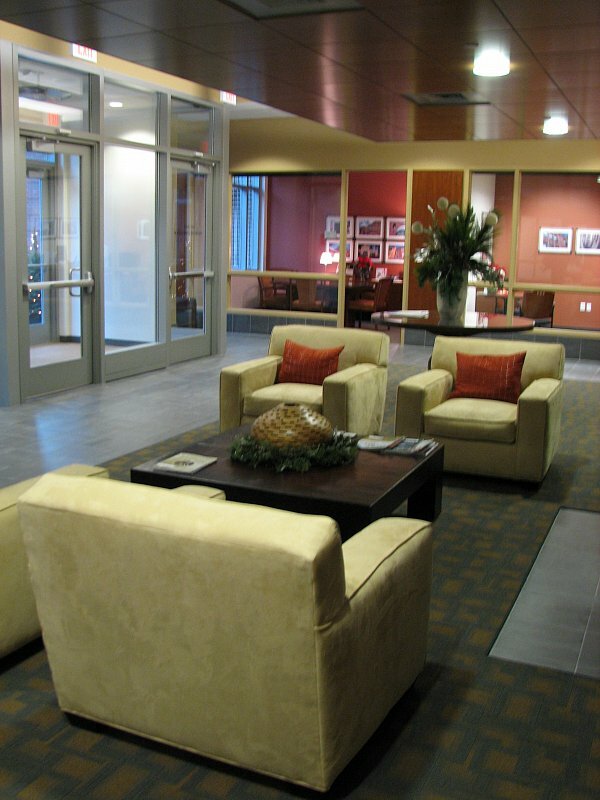 The main lobby features a variety of informal and inviting meeting areas. 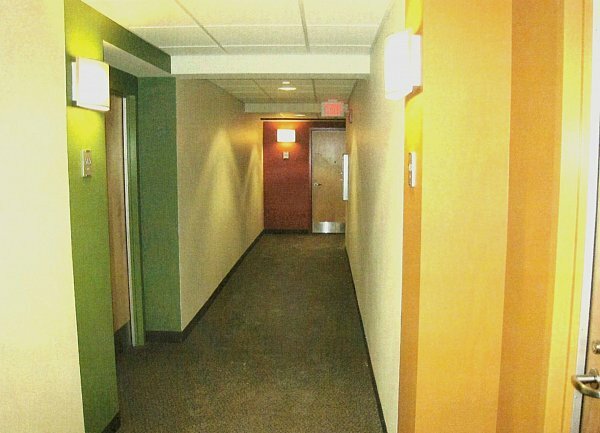 Resident entries are individualized by colored entry accents and light sconces. 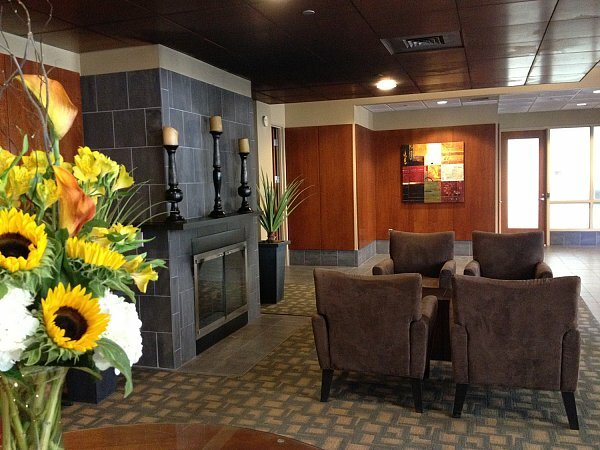 *The lobby fireplace is a warm and friendly place to gather.